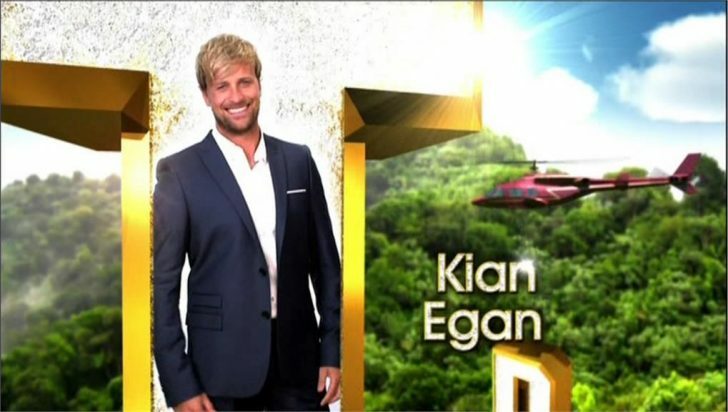 Kian Egan is a contestant on ITV’s I’m A Celebrity..Get Me Out Of Here 2013! “I went away recently on a surfing holiday with some friends for two weeks, but at least I could still see my son and his progression. I am going to miss him so much. “I have been away from my wife, Jodi, before but again it is going to be very difficult to not have any contact. And yet although he knows he will find the separation difficult, Kian is determined to enjoy every second of his time on I’m A Celebrity. Describing himself as adventurous, the star – who regularly goes surfing, bungee jumping, parachute jumping, mountaineering and climbing – admits he has been so determined to prepare the best he can for his jungle experience that he has even been rationing his intake of food before he jets out to Australia. “I am trying to prepare myself the best as I can,” he explains. “I have started not eating as much as I want to shrink my stomach a bit. It’s a conscious decision I needed to make. I have been told that most people eat loads and loads before they go in and then they have a swollen belly. But I want to try. It’s hard to tell whether I will shrink my stomach enough but I have tried. “I am ok on sleep too. If I have six hours a night, I can generally cope. Given he is so adventurous, it is no surprise to learn that Kian won’t be running scared from any creepy crawlies. “I don’t have any major phobias,” he admits. “I am not afraid of confined spaces and I am not afraid of the dark either. The worst challenge is the coffin one but I will definitely do the eating challenge (if asked). I will shove it in my gob, chew on it and eat it. Everyone is relying on you so much.” So how does he see his role in the camp? Will he be bursting into song and encouraging his fellow celebrities to re-create some of the Westlife tracks? “Definitely not, replies Kian,” Smiling, he adds: “ I really hope I am not pushed into that category of entertainer. I don’t see myself as that. I can cook and I think conversation is key. He also reckons he will learn a lot about himself during his time in the camp. As for whether he will do absolutely anything to be crowned King of the jungle, Kian insists he definitely does not have a game plan. “Of course it would be amazing to win it but my aim is to go in and have a good time,” he adds. “It’s a big adventure and I am really looking forward to the whole experience. “Television is what I want to do now. “My wife, Jodi, is really supportive. She thinks I will be able to cope with it very well.